In this time only a few of us were lucky to visit the factory and Athanasius and to know the history of the family business. Pantelis Athanasiou , who many people in Kalamata still remember, began making cakes at home since 1938 . 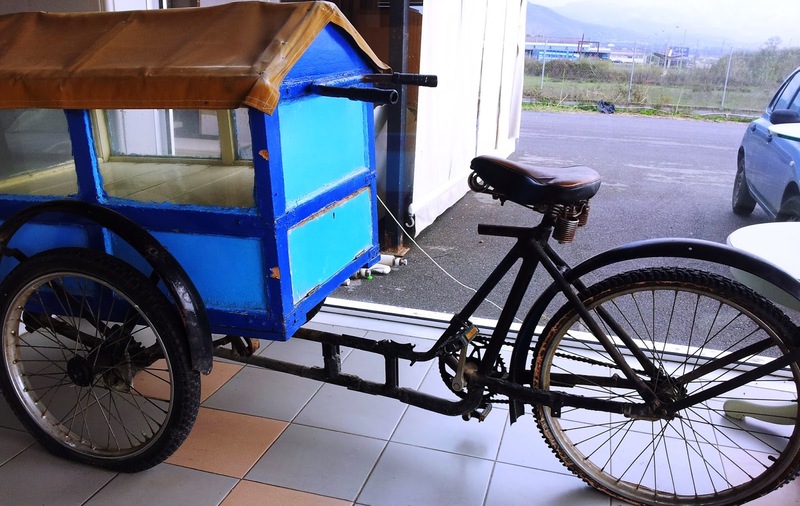 The beginnings were selling cakes in the streets of Kalamata, schools and in all the places where many people goes to enjoy, such as football stadiums etc, and always using his bicycle from one place to another. Later, his descendants using a small and family laboratory o bakery, continued the trade of selling cakes to small shops, getting to create their own chain of stores with time. They opened their first store in 1992 and today they have stores in different parts of the world, such as USA (Boston), Panama... and always with a good business planning to make sure, before opening a new shop, that the above could be maintained. 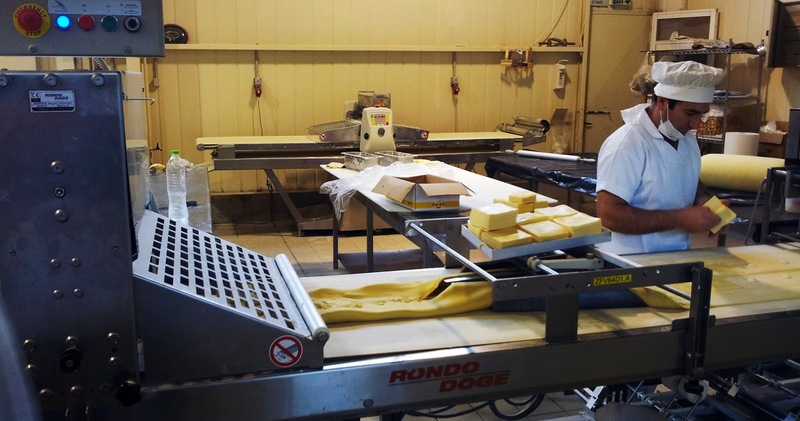 So, they are very strict particularly with the quality and with the Greek origin of the products, and all made with olive oil. 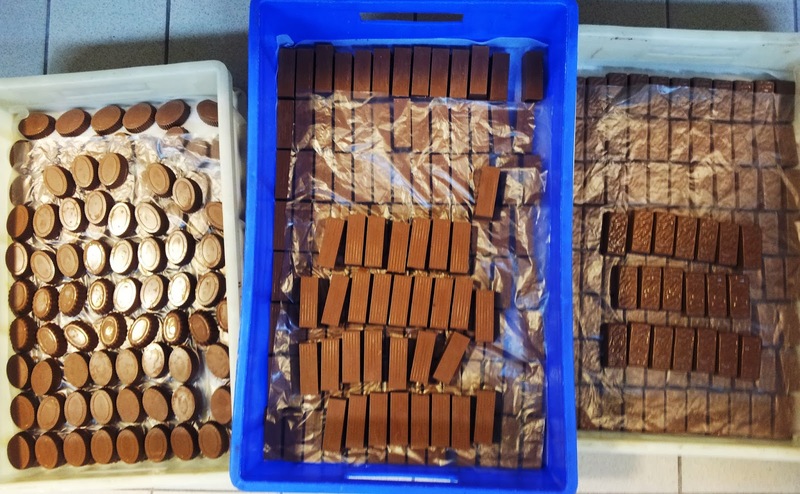 They produce sweet and bitter flavours, and even some other products such as some delicious chocolates which we were lucky enough to taste. These last two years, due to the economic situation that has been happening in most of Europe, they found great difficulties, but even so, they still keep betting and risking to undertake new business outside of the country. Is a way of maintain a level of business, something like a business insurance just in case the economic situation goes worst in Greece. In that plan, more than 100 employees are also included. Right now, they are producing 350 different products to be sold daily and, always fresh and with a very high quality. 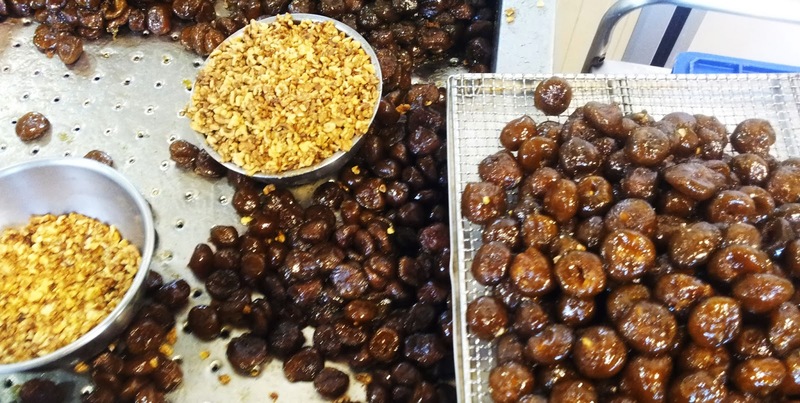 Finally, and after the visit to the factory , and fascinated by the wonderful world of smells that I could appreciate there, we had the great fortune to taste some of the delicious things they offered to us, having at the same time a nice chat about the interesting story of the founder. The next step for Athanasius, is to go for growth at the local level by opening a shop with coffee and delicious snacks, breakfast sandwiches etc, near the harbour.